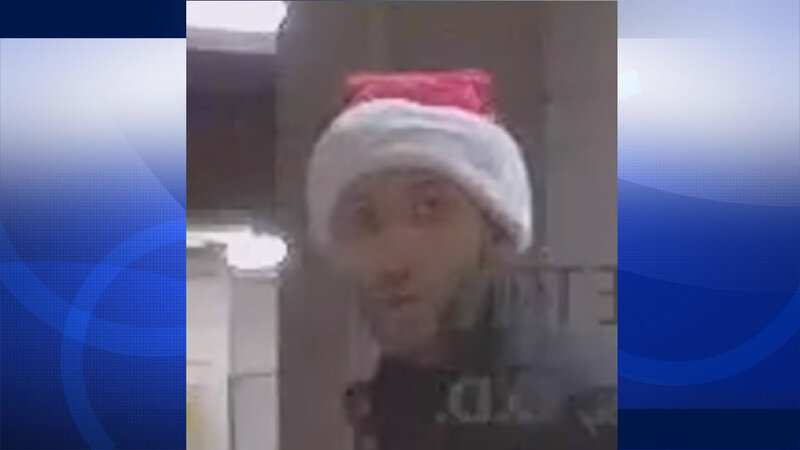 HILLSBOROUGH, Calif. -- Police in Hillsborough are asking for the public's help to identify a Santa Claus hat-wearing man suspected of burglarizing a home and business early Friday morning. Police believe the suspect burglarized a home near San Raymundo and Robin roads sometime early this morning or late Thursday night. The suspect gained access to the home's garage by stealing the remote garage door opener from an unlocked vehicle in the driveway, according to police. Once inside the garage, the suspect took various items, including keys to a family-owned business in San Francisco. The suspect then left the home and went to San Francisco at around 3 a.m. to burglarize the business, police said. Officers were able to obtain images of the suspect from security camera footage from the business. Anyone who has information about the identity of the suspect is asked to contact the Hillsborough Police Department at (650) 375-7470. Police are also asking for residents in the area with video surveillance systems to share any footage they have that could assist in the investigation.